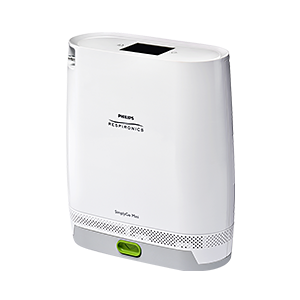 Philips Respironics' SimplyGo Mini portable oxygen concentrator(POC) is the all new, small, and lightweight oxygen machine that has been designed and rigorously tested to be reliable, robust, and tough in real-world environments. 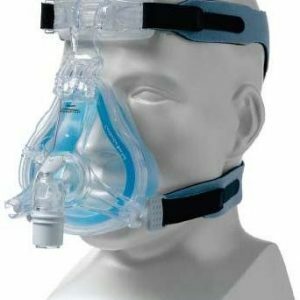 With the ability to deliver nearly 20% more oxygen output than the nearest competitive POC, SimplyGo Mini has the highest oxygen output of any POC weighing at no more than 5 lbs. Philips Respironics’ SimplyGo Mini portable oxygen concentrator(POC) is the all new, small, and lightweight oxygen machine that has been designed and rigorously tested to be reliable, robust, and tough in real-world environments. With the ability to deliver nearly 20% more oxygen output than the nearest competitive POC, SimplyGo Mini has the highest oxygen output of any POC weighing at no more than 5 lbs. 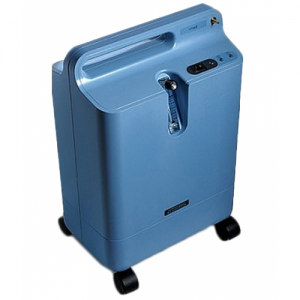 1) System with standard battery – Includes SimplyGo Mini portable oxygen concentrator, carrying case, one standard rechargeable lithium ion battery, DC and AC power cords, accessory bag, and user manual. 2) System with extended battery – Includes SimplyGo Mini portable oxygen concentrator, carrying case, one extended rechargeable lithium ion battery, DC and AC power cords, accessory bag, and user manual. 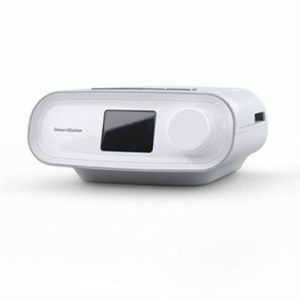 Philips Respironics’ SimplyGo Mini portable oxygen concentrator(POC) comes with a standard 3 years warranty on the system, 1 year warranty on the sieve bed, 90 days warranty for the battery.